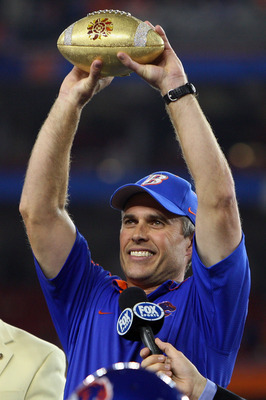 All this discussion about Boise State’s approach to gaining significance in the exclusionary world that is the BCS has had me struggling with the one big question: How the hell did Boise State do it? Or more to the point, how do they continue to do it year after year? Previously, I shared some thoughts on the scheduling aspect, hopefully making it clear that BSU sets itself apart by beating the one or two significant teams it schedules each year and does so – IMO – by exercising impeccable execution and with supreme confidence. One of the assumptions I made, which I am finding to be wrong, is that they broke through the Fiesta Bowl year and their consistency is a matter of all the talent that they are amassing in the remote hinterlands of Idaho based on that prime time success. The fact is that is flatout wrong. Now, clearly, Coach Petersen is amassing talent, but he is doing it the old-fashioned way, he is evaluating players that he can get and finding the perfect players for his program. It might surprise many that since the big Fiesta Bowl win over Oklahoma, BSU has landed just one – that’s uno – 4-star recruit in JUCO DE Tyrone Crawford (a current starter). Petersen actually makes do like the Pirates do, on a bevy of 2 and 3-star talent drawn primarily from California, Texas, and the Pacific Northwest. They aren’t big-time prepsters, but in BSU’s system’s they are stars. For example, let’s take a look at Kellen Moore, the record-setting quarterback. He chose BSU over Eastern Washington and Idaho. That was it, those were his choices and rightfully so, right? He is what, a 6-0 lefty with 5.0 speed. Not your typical record-setting quarterback. But Petersen found him. His targets Titus Young – chose BSU over California, Washington, and Washington State – and Austin Pettis – chose BSU over Utah State – were virtual no-namers coming out of high school, but Petersen found them, too. All over the football field, Petersen and his coaches find the right players for the systems over and over and over again. And they have done it since he set foot in Boise. 4. Petersen and his staff recruit players to play and the depth chart reflects that as there is a clear balance across the classes. 1 lost to injury; 2 quit program, 1 kicked out. Second, the coaches must be able to recruit and I am not talking about selling the University. I am talking about getting out, boots on the ground, and sniffing out the types of players noted in the above paragraph from a pool of 3-star caliber players. If little BSU can afford to travel to Texas and California to mine (operative word here) those states for talent, we should be able to as well. Our coaching staff recruited those states before and getting kids to come to North Carolina can’t be that much harder than getting them to go to Idaho. Third, we have to keep our kids in the program at a higher rate than what we have in recent years. And, that retention must be consistent. One bad retention year really screws up a program. Finally, and I think this is happening in our system now, we have to let the best players play. And sometimes, the best players are not the most talented but rather those kids that fit the system best and are gamers. We are seeing the likes of Danny Webster, Justin Hardy and Derrick Harris emerge. Guys like Will Simmons and Jordan Davis. Beasts on defense like Jeremy Grove and Damon Magazu. BSU balances their depth chart in a way that never leaves them without a core of players on O and D going into any given season. You don’t see 9 defensive starters lost to graduation. To me, all of this is encouraging information because it tells me that the players we need are out there and they aren’t wearing 4-star crowns on their heads. The question is, then, can our staff (or maybe is our staff) the type of staff who can find them and plug them in. Very interesting. Of course, the 9 lost starters were a Holtz-era creation, not one devised by this staff. I’m a huge Skip fan for all he did for the program but he sure left the defensive cupboard bare. In any event, time will tell if this staff will manage things with a bit more balance. This doesn’t address the scheduling issue though. That seems to be a key part of the equation. We don’t seem to be inclined to weaken things in that regard. I agree Ed with the assessment of the impact that the bare cupboard had on the program…it was undeniable. As far as the schedule goes, I suppose that the BE expansion may have taken care of that to some degree. 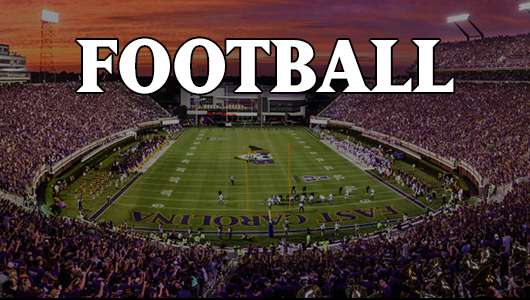 USM will always be a tough opponent but what is left in CUSA should never rise to a challenge for ECU. OOC is harder to manage because you just never know who will be great in a few years. I would like to see us try to schedule more SEC teams though.